About two months ago, the Senior Pastor of Northpoint Ministries- Andy Stanley- challenged the members of his congregation (Northpoint Community, Buckhead, Brownsbridge, Gwinnett, and Watermarke campuses) to invest ourselves in the annual Be Rich Campaign. The Be Rich Campaign begins each Christmas with a unique opportunity for members to get involved with serving in the community of greater Atlanta and to give with generous hearts. Instead of creating our own charities, the Be Rich Campaign allows members of every Northpoint Ministry church to volunteer hours or donate money to our intersect partners around the city. The purpose is to help fund the continued operation of amazing organizations like Open Hand, The Abba's House, La Casa de Mi Padre, Good Samaritan and other ministries like the 410 Bridge (with whom I worked in Kenya), M.U.S.T., and Future Hope East Asia and to support their efforts in this holiday season and beyond. Andy asked for our campuses (a total of about 25,000 members) to donate 25 tons of food that would re-stock the pantries of places like North Fulton Community Charities. Over 41 tons were given. Andy challenged us to volunteer a minimum of 8,000 hours. In total we served 15,000 hours. And, finally, Andy told us he thought we could easily raise $500,000 to be distributed to our intersect partners. He then said he thought we could do more. He said he believed we could reach a goal of $1,000,000 by the end of the Be Rich Campaign. The final amount donated surpassed $2,000,000. I am so proud to call myself a member of Buckhead Church and Northpoint Ministries. God has blessed us with a community of people who are not afraid to step out and serve where needed and give when it might be difficult to spare a dollar. In this family of believers, I see the Lord moving and I am grateful. The fact that God desires to complete His work through us- not just Northpoint Ministries, but the Church...His Church- never ceases to amaze me. I'm so glad He loves us. 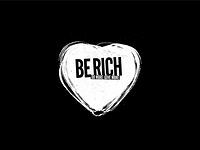 To see an awesome video about the Be Rich Campaign, click here.